Hi, I was interested in printing the mommy verses for a new mommy in need, I see your blog says they were free in January, are they still available? Thank you and all your pins are so lovely!! Yes, they are still available! I am interested in you mommy verses as well. If they are still available how do I get them? I would like to print off your new mom quotes to include in a new mommy gift bag I'm preparing for my best friend. I'm wondering if the mommy verses are still available. I would like to give them to a friend who just had a baby. If they are still available my email is hoperays@live.ca Thank you. Wondering if these lovely verses are still available... thank you! Are these still available to download? I would love to give to a struggling friend! Yes, they are! I send them out to new subscribers to my newsletter once a week! These are absolutely beautiful! I subscribed a few days ago. 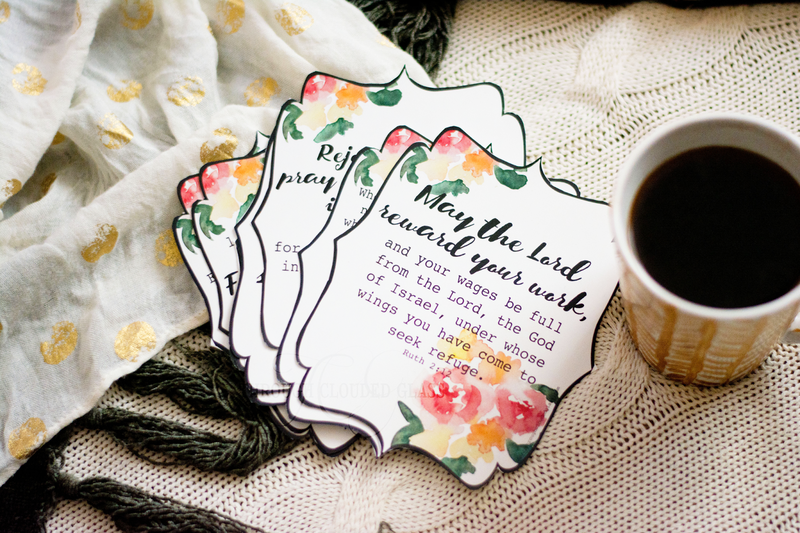 I am throwing a baby shower for my dearest friend and thought these would be lovely for the guests to select and write notes of encouragement for the new mama when she needs some extra love! Hi Katelynn, can you make sure you've confirmed your subscription? If you have already, they should be waiting in your inbox! Thank you for checking back! After the initial activation email, I received "If Sisters Where Flowers, I'd Pick You", so I believe the subscription is working! 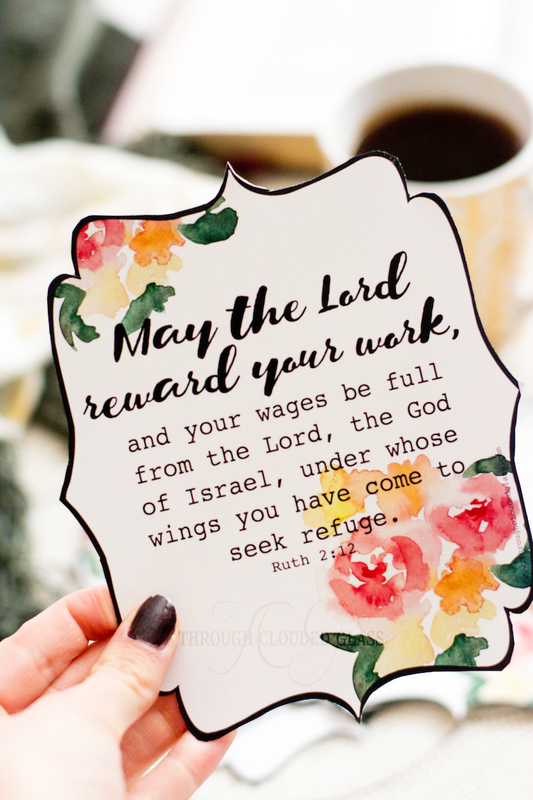 I just have not seen the scripture cards yet. Hi Katelynn, unfortunately I'm not showing your name in my list. I would add your email manually, but I don't know what it is! Please make sure you have submitted using this particular form: https://madmimi.com/signups/126735/join. If that is the form you signed up through previously, please email me your email address so I can add it manually if it isn't going through. Thanks! Thank you for helping me work it out. I used the prints at a baby shower I hosted over the weekend - everyone loved them! Thank you for making a resource like this available to others! HI, I would be very grateful if you could email me these lovely bible verses for gifts for our mothers in the church this Sunday as we are celebrating Mother's Day in the UK on the 26th March. My email is imeldaburog@yahoo.co.uk Thank you and God bless. 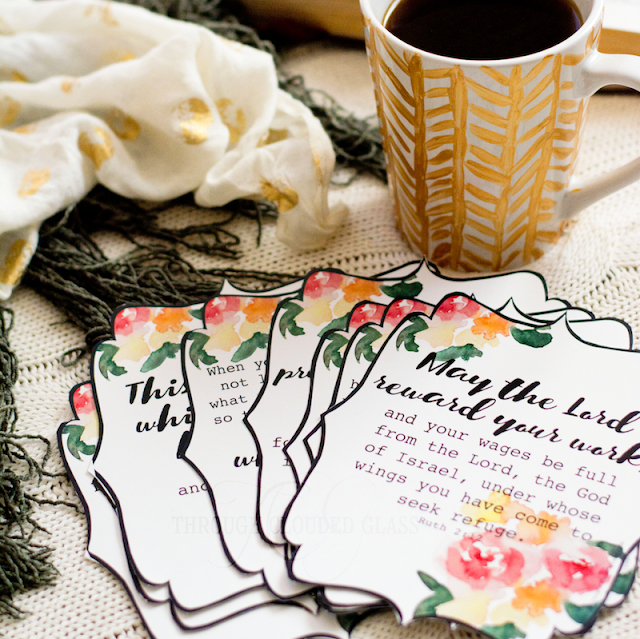 Would love these printables for my small group members at church! I just subscribed! 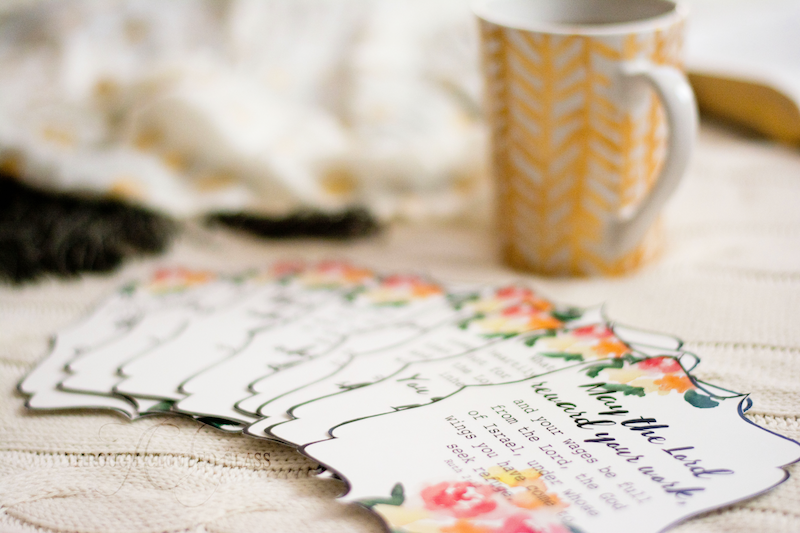 Can I get these lovely printables sent to me? Thank you! 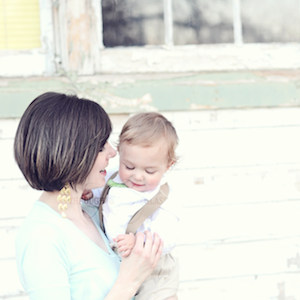 I just subscribed, would love the scripture cards please and thank you! 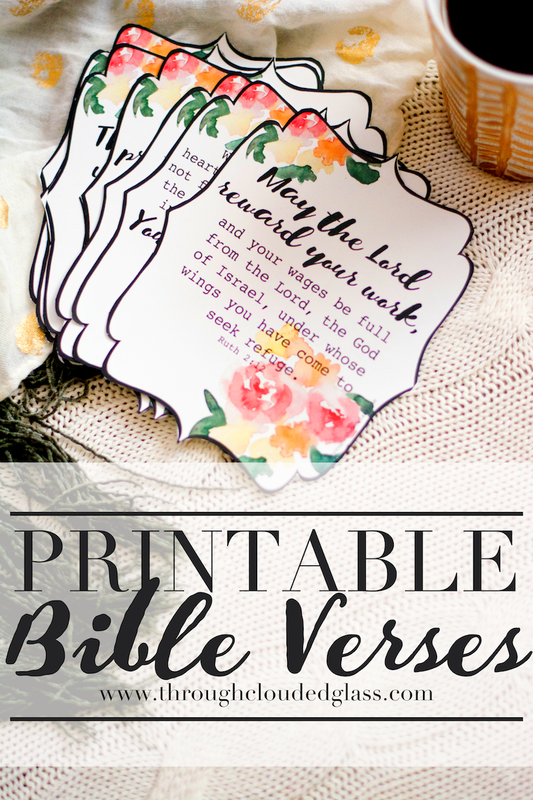 I would love to share these printables with moms at church and at school, if they are still available. If they are still available, please send them to Priscilla.robinson1@gmail.com. Hi all, I just wanted to clarify that I do not send these verses out to individual email addresses. If you would like to receive them, please sign up for my email newsletter with the form in the post above, or you can click on the link at the bottom of the page on mobile. 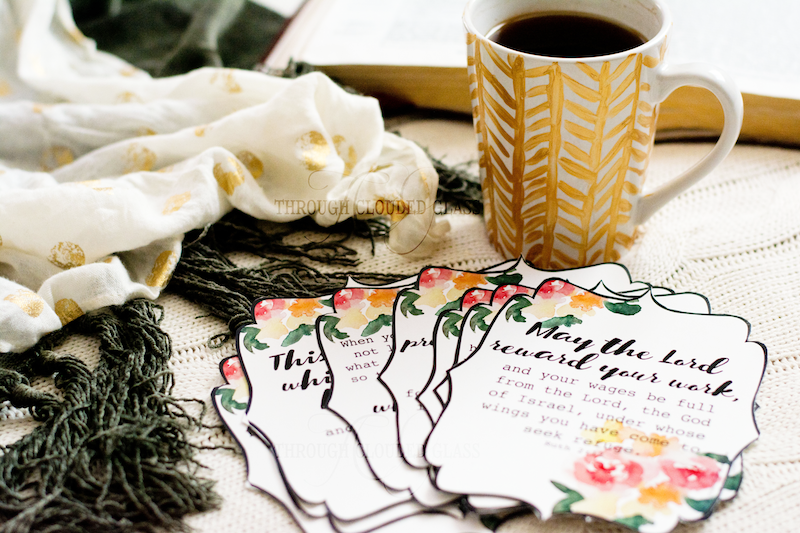 The printables go out to my newsletter subscribers once a week. Thanks! If possible could I get these by Thursday? I would like to include them in the Gift for the Mom-to-be. Thanks! Thank you so much....will use these in a junk journal. I love these cards. I just subscribed with my email diannaneufeld@hotmail.com. Is it still possible to get these printables? Hi Dianna, please see the link in the post above to buy the printables from my Etsy shop! I’m no longer offering them as a freebie to newsletter subscribers. Thanks!